Remember when GoPro shares went up nearly every single day regardless of what was happening in the broader stock market? Those days are over. 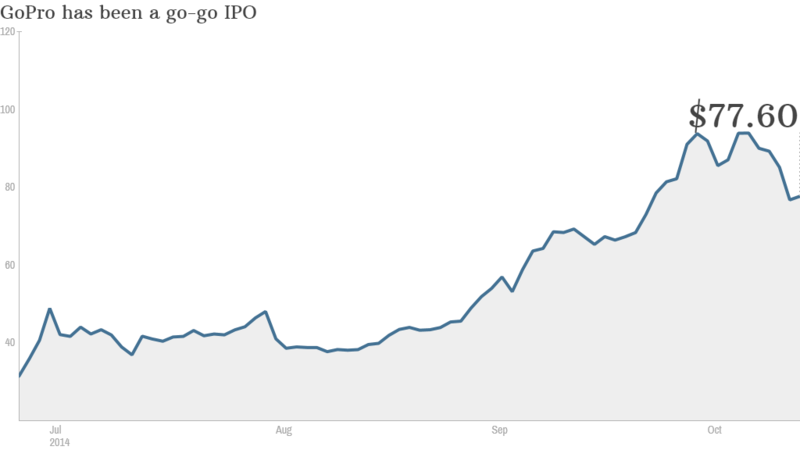 Since hitting an all-time high of $98.47 on October 7, GoPro (GPRO) stock has plunged more than 20%. The bubble has burst. Shares fell nearly 10% on Monday alone after reports surfaced that a GoPro camera may have caused a brain injury in a well-known German race car driver. Formula One driver Michael Schumacher's skiing accident in December left him in a medically-induced coma for several months. He is now being treated at home. According to reports in several British newspapers, French journalist Jean-Louis Moncet claimed after visiting with Schumacher's son Mick that it was the mounting of a GoPro camera the elder Schumacher was wearing that caused his brain injury. A spokesperson for Schumacher told CNN that they did not have any information about any connection between Schumacher's injury and a GoPro camera. GoPro did not return calls for comment. The report even seemed to rattle investors in two other wearable camera companies. Shares of Digital Ally (DGLY) and Taser (TASR), which make cameras for police offers and have both surged since the unrest in Ferguson, Missouri this summer, fell Monday ... even though there is no connection to Schumacher. But even if the Schumacher report was a convenient excuse to sell, it's not the only one. 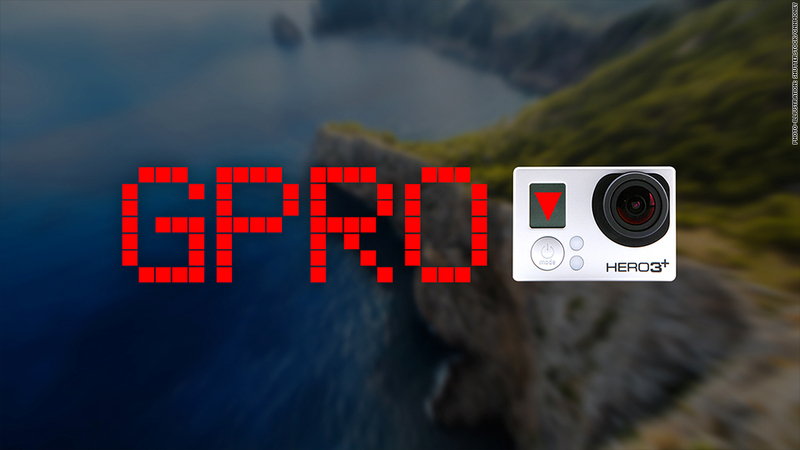 Simply put, GoPro has come to represent the speculative nature of the market at its worst. 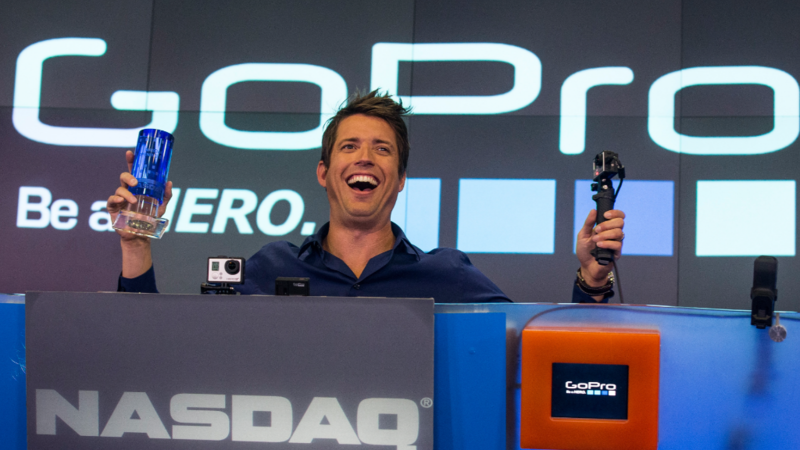 GoPro went public in late June at $24 a share. So before its recent pullback, the stock had quadrupled in a little more than three months. That's not rational. That's bubble behavior. GoPro is an expensive stock: This isn't to say that GoPro is a lousy company. Quite the contrary. This is not the 2014 version of Pets.com. It's a real business that's growing rapidly: analysts expect earnings to increase 31% a year, on average, for the next few years. But GoPro's stock, at its peak price, was valued at about 95 times 2015 earnings estimates. Trading at more than three times your earnings growth rate is extremely expensive. To put this in context, Facebook (FB) is trading at a price-to-earnings ratio that is below its expected earnings growth rate and analysts think Facebook's profits will increase 37% a year. And Netflix (NFLX), another stock that is often accused of having a frothy valuation, is trading at less than two times its projected growth rate. There have been other cracks in the GoPro stock story too. Wall Street analysts, which are often criticized for being too bullish about the companies they follow, are starting to become more skeptical. Nine of the eleven analysts covering the company have GoPro rated a hold -- which might as well be a sell. Investors were also not happy to see that a new charity set up by GoPro CEO Nick Woodman and his wife would be allowed to sell shares it was receiving as a gift before the end of a so-called lockup period that prevents insiders in newly public companies from selling shares. The concern is that Woodman may be signaling that he thinks the stock's runup is too extreme. There also could be more competition. Taiwanese tech company HTC recently introduced the RE handheld camera. It remains to be seen if this will eat into GoPro's sales or not. But that's not the point. Other tech companies are now gunning for GoPro because they see how successful it is. GoPro no longer operates in a niche market all by itself. Again, I'm not suggesting that GoPro is going to fail. The cameras are insanely cool. But that doesn't justify the big spike in the price. Market warning: GoPro, along with other recent IPOs such as Chinese e-commerce giant Alibaba (BABA) and driverless tech firm Mobileye (MBLY), are another sign of how fearful investors have become lately. Professional investors are afraid of missing out on the next Apple (AAPL), Amazon (AMZN) or Tesla (TSLA). So they ignore risks and hope for the best. That never ends well. CNN's Lindsay Isaac and Tania Carvalho contributed to this report.